La Roja wants to get their UEFA Euro Qualifying on a high note. 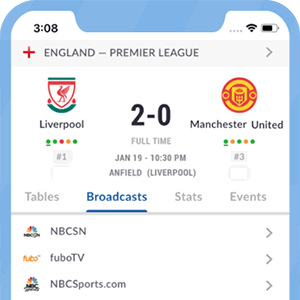 Live Soccer TV brings you details to watch this game wherever you are. How do Spain and Norway get to this game? Germany will hope to become the second European side to secure their spot at next year's World Cup by beating Norway. LiveSoccerTV.com provides info to catch Germany-Norway on Monday, September 4th. Who's playing: Germany will look to maintain their perfect qualifying record - and secure their spot at next year's World Cup - with a win against Norway on home turf on matchday eight. Norway will take on reigning World Cup champions Germany in a qualifying match at the Ullevaal Stadion on Sunday, September 4th. Here is all the viewing info you need to tune in to Norway vs. Germany. Who's playing: A struggling Norwegian side will face a stern test as they take on reigning World Cup champions Germany in their opening 2018 World Cup qualifying match this weekend. Belgium will take on Norway at the King Baudouin Stadium in Brussels on Sunday, and this will be their final test before the start of the European Championship. Here are some live TV listings & online streaming options for Belgium vs Norway. Here is where and when to watch the international friendly game between Portugal and Norway live from your country. Although the Azzurri have already qualified for EURO 2016, they will hope to maintain their unbeaten record in Group H as they welcome Norway on Tuesday, October 13th. Here are some live TV listings & online streaming options for Italy vs. Norway. The Spanish center back came down with an injury during the Audi Cup final vs Bayern Munich, while the Portuguese striker is struggling with lower back problems. England will face Norway at the TD Place on Monday, the 22nd of June in a Round of 16 clash. Check the live TV and online streaming broadcast listings for Norway vs England below. The female footballers use sarcasm and humor in the best way possible to mock the hate against women’s football. With four points each in Group B, Germany and Norway are both on the brink of booking tickets for the knockout stages at the 2015 FIFA Women's World Cup. The German machine got off to good start through Anja Mittag's 6th minute opener. However, series of unsuccessful passes denied them from increasing their lead as Norway found ways to stabilize their defensive line. After cruising to all three points in their first games versus Ivory Coast and Thailand, Germany and Norway will clash in a much-anticipated encounter on Thursday, June 11th. Here are some live TV listings & online streaming options for Germany vs. Norway. The Swedish striker referred to the Norwegian youngster after a friendly match played between their National Teams that ended with a 0-0 draw. 2015 FIFA Women's World Cup tournament favourites Germany will entertain Norway and debutants Côte d'Ivoire as well as Thailand in Group B. Following their 2-0 friendly win over the Netherlands, Italy take on Norway in their first competitive fixture under new coach Antonio Conte. Roy Hodgson's team had a below average performance, which sparked criticism on Social Media during the game and after the final whistle. After their disappointing World Cup, things don't seem to be looking up for the English National Team. It's true, a victory always helps making progress, but fans are not happy with some individual performances, as they hope things turn around for good.